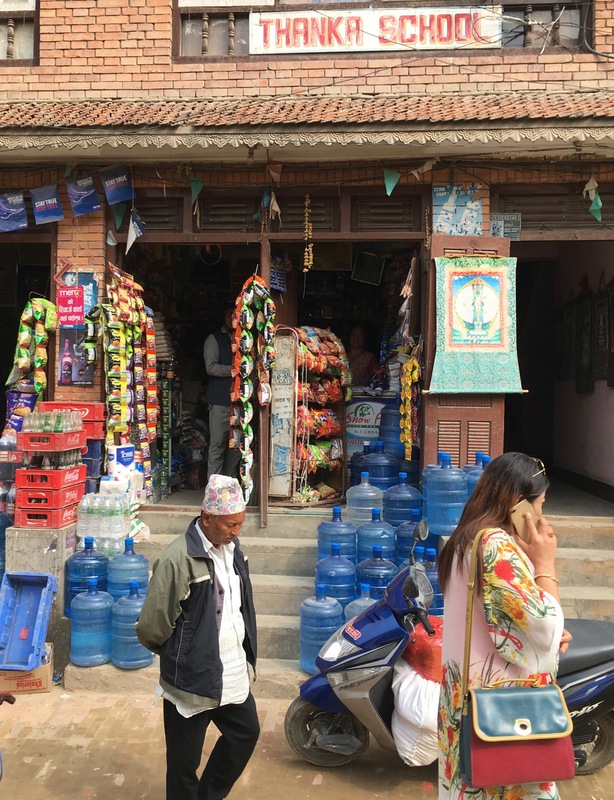 There are countless little shops not far from my apartment in old Patan. One I frequent is Lalita’s. She basically just has a convenience store. But it’s one that’s about 5% the size of one in the US, with much more stuff. Stepping inside is like entering the TARDIS; it’s bigger on the inside. 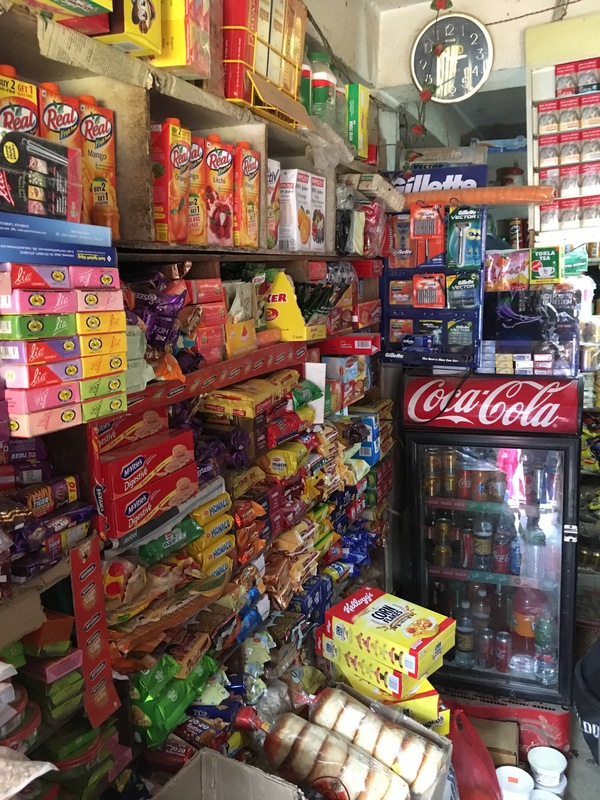 Lalita’s shop has drinks of all kinds, including coffee, tea (black, green, herbal), soft drinks, club soda, beer, and wine. 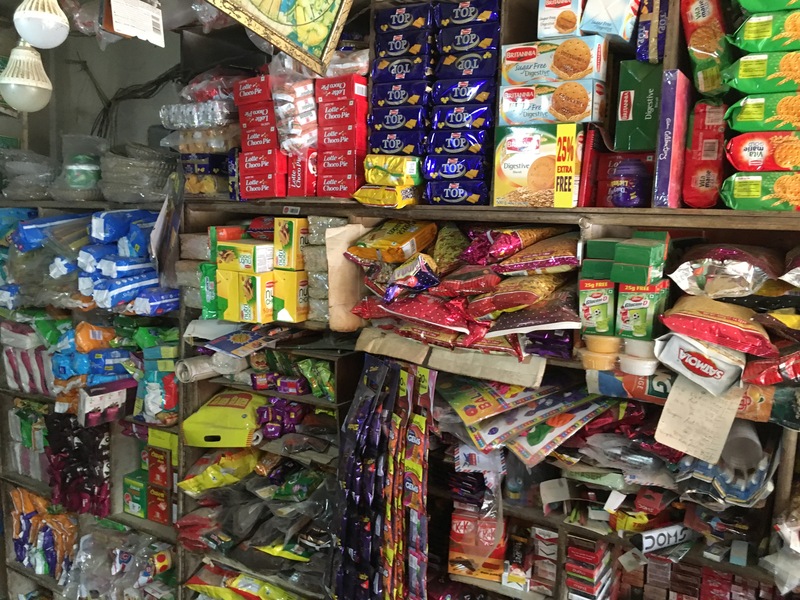 There are of course multiple kinds of cookies, candies, chips, and tobacco, like any decent convenience store. 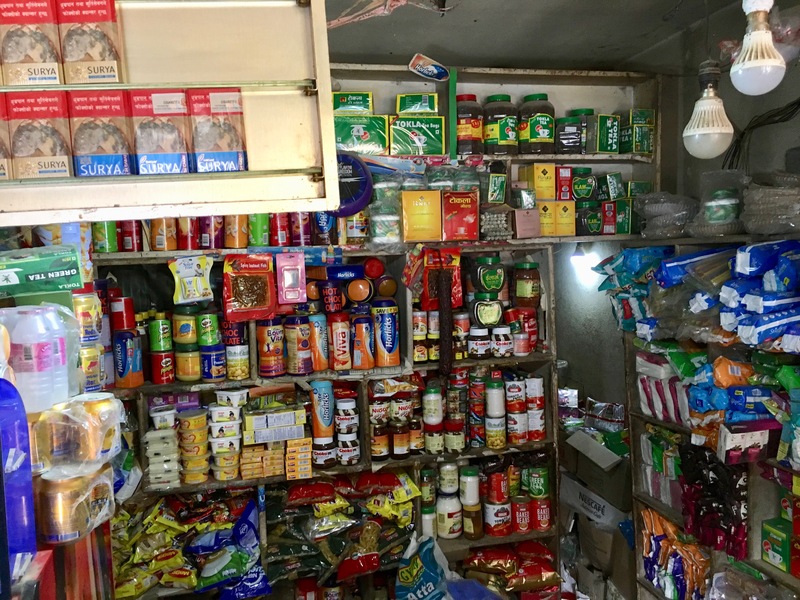 But there are also eggs, ice cream, milk, yogurt (both sweet and natural), yak cheese, canned goods, prepared foods, soups, rice, bread, cereal, condiments, hanging herbs and garlic. Lalita’s shop has razors and creams for shaving, toilet paper, aspirin and other basic pharmaceuticals. There’s much more, imported and domestic, including some items I can’t identify. Most items can be purchased by the piece or by the box. For example, you could choose to buy just five eggs. On the steps outside there are both 1 liter and 20 liter water jugs. Thanka (Tibetan Buddhist paintings on cloth) hang on the wall. My goal before leaving here is to discover something she doesn’t have. You can see in the last photo below a small door at the back. Lalita sometimes has to step back there, for example, to find a drier wine. My suspicion is that there’s a gigantic warehouse appended to the shop, and that she can step through that to get an Amazon delivery. Or, maybe Amazon gets all of its stuff from her store? When I enter the store each time, I wonder how I can fit my body in what passes for an aisle. But soon, I find that I’m inside the store along with children, other shoppers, young and old, and often a delivery person. 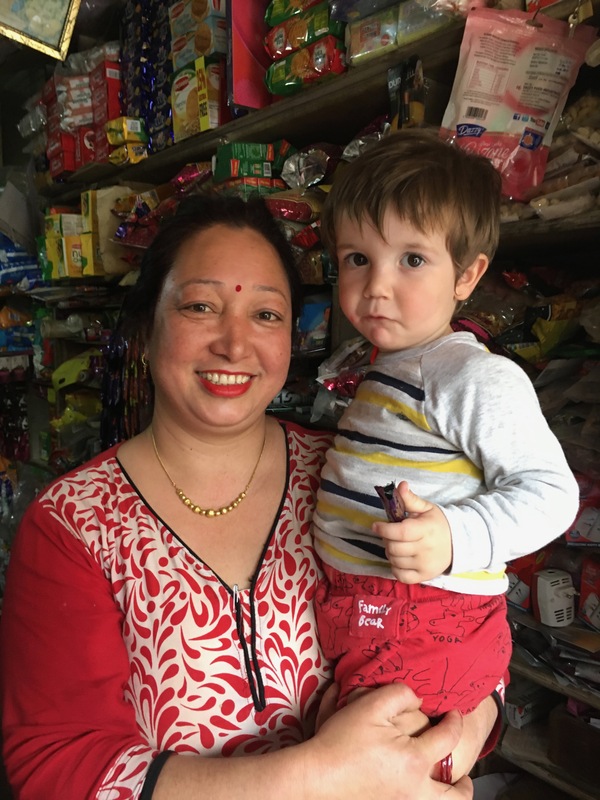 There’s lots of friendly chatter and Lalita manages to teach me a few words of Nepali each time I visit. This entry was posted in Cape Cod and tagged neighborhood, Nepal, Patan, shop, store. Bookmark the permalink. For such a sweet and funny blog ! What fun, a Walmart/Target/Woolworths/ in a condensed place, probably a lot friendlier and more fun. Oh find some things you can’t identify and figure out what they are for… and of course. share what you learn, with us, your public!